Hello Friends today we have a few things to share with you so let’s get to it! #1. Since this month is National Sewing Month we thought it would be fun to give away a copy of our book The Simple Simon Guide to Patchwork Quilting. We wrote this book with both beginners and experienced quilters in mind. The clear, step by step instructions will walk beginners through the entire process of creating patchwork quilts…from cutting the fabric to adding the binding and the fun quilt patterns and designs will be satisfying projects for quilters of any level. For the past two days Elizabeth and I have shared our stories about how we entered the world of sewing&quilting and why we stayed. (And through out the book we have shared more stories and feeling about this amazing industry.) But today we want to hear your stories. To be entered to win a copy of the book leave a comment telling us either who taught you to sew, why you began sewing, or why you continue to sew. #2. Tomorrow marks the return of Nacho Thursdays! I’ve missed our Thursday talks! A lot. So it’s high time we bring them back. Here’s how they work. Every other Thursday night at 9:00 pm (MST) we meet live over on our Facebook page to talk about everything from how to store fabric to which is better malts or shakes. It’s simple, I have missed it, and I hope you join us. #3. Possibly as you are reading this Elizabeth and I are meeting and planning out what is coming for 2017…and we both have some BIG ideas…we already know there will be more patterns released and more fabric lines on the way with Riley Blake Designs…but we are cooking up a few other things…we want to be able to interact with you all more closely and try a few things that we have wanted to do for awhile…so keep watching, anouncements will be coming soon…and until then thank you for all your kindness and support. We couldn’t do what we do without all of you! PS: For extra entries to win the book leave a comment telling us if you follow us on Facebook and if you follow us on Instagram! GIVEAWAY WINNERS….one of them might be YOU!!! My mom taught me the basics of sewing, but I didn’t really sew until I was deep in postpartum depression after my fifth child was born. It helped me begin to see the light, and now it’s what I do to feel sane and happy! I used to sew clothes after high school and a boyfriend bought me a machine, a nice shiny Kenmore in the late 70’s. They sewing got pushed aside for life. Now I have been retired for 10 years, yeah I retired early and started browsing quilts and loving them. So I dusted off my old Kenmore, who has moved with me over the years but not been taken out, and started to do simple quilts. So one year later I am on my 20th quilt project and have a new Janome 9400. Life is good. My Mom taught me how to sew in a machine for my girls when they were young, but I always loved handwork. I made dresses for my girls until they decided they didn’t want handmade clothes any more. After our youngest child graduated from homeschool, I took a class on quilting by hand. I loved it, but soon decided I wanted to make quilts faster, so I learned to machine piece and quilt and I haven’t looked back. I like your Facebook page and I follow you on Instagram. I learned to sew from my mom when I was young. I learned to sew from my Mom and Grandmother when I was young. When I began sewing again in my 30s I used these skills and added more from blogs (I’m looking at you ladies!) and the online sewing community. I am now teaching my daughter to sew! Thank you!! Follow you on instagram (@sarahbjasinski). I began sewing in my high school Home Ec class. Not to brag, but I actually won the Home Ec Student of the Year my senior year, the prize was a travel sewing kit to take to college! Haha! I picked up sewing again when I was pregnant with my 1st daughter and made her her baby quilt. Now I mainly sew skirts and dresses for my 3 girls and lots of baby blanket for all my friends who are having babies. I love to sew and only wish I had more time to do it! Miss Wilhelm, my 7th grade Home Ec teacher taught me the basics of sewing. My mom and sisters were sewists, but didn’t really take much time to share their skills with me. They were older and too busy to fart around with me! Miss Wilhelm had the patience of a saint as she taught classes of 30 girls 7 times a day how to operate machines, fit and cut out patterns and sew straight stiches. I think of her often, even after 40 years! My mother made all my clothes until I was a teenager then I started to sew my own. Then I was too cool for homemade clothes. I had children and sewed clothes for them. I started to be a crafter for years. Then was talked I to going to a quilt retreat for a class on tatting and embroidery. Then started making quilts and table runners. I love fabric now. I follow on instagram and Facebook. Love both of you and your adventures. When I was pregnant with my first daughter 8 years ago, I really wanted to give here a special quilt that I made for her, which have me something to do nightly because I was unable to sleep. That quilt is my most favorite piece I have ever made, even with ask of its imperfections. Holy typos – dang phone!! I remember my great grandma teaching me how to make yo-yos. I wasn’t really too interested after that till I was forced to take an advanced sewing class in high school since I hadn’t taken home ec. It was after having my first daughter that I really took to it. I learned to sew in Jr High home ec class because it was something I wanted to do. That was many years ago. I started quilting 5yrs ago because I have always wanted to, loved quilts, wanted to challenge myself in learning something new and to be more patient in my skills! My friend Eva, taught me how to make clothes for the littles years ago and now I am making clothes for my grandchildren. She taught many – not just one. Wow! Your book looks great! I like that you designed it for both beginning and experienced quilters. I don’t follow on Facebook or Instagram (I don’t use either social media platform). i grew up in a family of seamstresses. I love to quilt and occasionally make clothing. I love to do home dec items. Gifting my creations feeds my soul! I learned the basics of sewing in Home Ec class in junior high. I continue to sew as I love the creative outlet. My mom taught me to sew when I was in high school. I’m so glad she did! I also follow on both Facebook and Instagram! Aunt Dorothy, my Godmother, taught me to hand sew quilts at 11. We did not have sewing machines then. Now at 60, I just love to get out my 1960ish sewing machine and make beautiful baby quilts from all your suggestions. What fun it is to follow you. Thanks so much for all the inspiration and great fabric ideas. I have learned so much from you both. Quilting is such Fun! I watched my mother sew when I was young. After she passed away when I was 15 I taught myself. I’ve been sewing for 50 years and I continue because I enjoy it! I am old enough to have had home economics in high school and that’s where I learned to sew. There must have been other projects during the semester but the one I best remember is the three yard skirt. Yes, take three yards of fabric which is then gathered up to fit into the space of a waist band. Hem the other end and voila! you have a skirt. This was in the days when big skirts and big underskirts were the fashion. I vaguely remember sewing up a dress and jacket as well. I did some garment sewing for me and then for my children but not much. There was always a sewing machine in the house, though, but little used until after I retired and got interested in quilting. My mom taught me to sew as a kid, but I hadn’t touched a sewing machine since Home Ec in junior high. When my kids were old enough, they started asking for matching clothes for them and their dolls, so I found some patterns and inexpensive fabric and gave it a whirl. I laugh when I look at those first items now…I had no idea how much I didn’t know, but they held together and the girls loved them. I am fortunate to live near a wonderful sewing and craft store that offers classes and I have learned a lot. It is a wonderful hobby that has kept me same over the years. Way back when Home Economics was a course every girl took in school and sewing was a huge part of it! I have always loved the creative process so I continue to sew and quilt as an outlet for my arty side! My mom taught me how to sew when I was six years old. I continue to sew because it really is my grandmother’s legacy – she made beautiful quilts and so many Halloween costumes and doll clothes and really, whatever we requested. She is still living, but unable to see anymore so she cannot sew. I so wish I had been more intentional in asking her to teach me to quilt as she was able to make most of my kids quilts, but none of the other grandkids will get that treasure. My mom taught me to sew. She started me with simple cross-stitch and later taught me to sew clothes. I made a few things in high school and then a few cross-stitch projects over the next ten years. Then I nearly quit sewing because of teaching and being a mom. I picked it up again later and now love it. My mother-in-law taught me how to make hand-quilted baby blankets, which are great for long car trips. I am kind of self taught but I enjoy taking classes all of the time. I’ve even taken one of yours! I learned to sew from my grandma. She makes and donates quilts and taught me the importance of seam allowences and backstitching. She has donated over 500 quilts just in the last 5 years or so. Now I mostly sew for my babies but I keep a list of how many I have made so I can donate a quilt for every one I keep or sell or gift. As an adult I did not know how to sew. I found an older woman in our church who was willing to teach me how to sew and make a quilt. She also taught my four daughters how to sew. They each made a quilt of their own. She has given us a wonderful gift. We now know how to sew. I love to look at my quilt and know I made it. I have enjoyed watching my daughters show their quilts off to our family. I see a pride in their work. As a Mom it is a joy to watch them learn a new skill that will serve them well for the rest of their life. My mom taught me how to sew. I’ve never made a quilt but have really been wanting to lately. Thanks. I follow on Facebook. And I am pretty much a self taught sewist. I met you two in person at one of the Cotton Shops and bought your book. You two are delightful !! My mom sewed from sun up until sundown for the public and sometimes in between for me. And when she wasn’t sitting at her Singer, she was hand embroidering or she and her sisters or women from the church were handmaking a quilt hung from a homemade frame that my dad made for her. I hated the thought of sewing and didn’t until just a couple of years ago and wanted to make a quilt for my husband and children as something to hand down to them as a reminder after I’m gone. I have fallen in love with quilting and embroidery. I’m still not a garment seamstress !! I started sewing when my daughter got s little kids sewing machine. I’ve tonight myself most things myself. I did a few courses with my daughter and bought my own machine. With child #4 I’ve started trying too quilt; therefore the book would be great! My mom and grandmother were powerful influences in my interest in sewing. My mom started to teach me, got frustrated, and then enrolled me in a class. In college I sewed a bit with a friend, as a young teacher I sewed a bit more. I started quilting with my mom just after she was diagnosed with cancer, learned to sew children’s clothes after she was gone, and now teaching my 11 year old pushes me to learn more-she always wants to do hard things! Took Home Ec.then my mom taught me a few things. I always admired my grandma’s quilts, so I just sat down and taught myself to quilt.used a lot of quilting magazines. Would love to have your book! Can’t wait til Thursday night, always enjoy Nacho Thursday! Follow you on Facebook and Instagram! I took a couple of sewing classes in school but it wasn’t until I was expecting my first baby girl that I really got into a seeing groove. I started sewing dresses for her and that is still my favorite thing to see is dresses for my now four girls! My grandma started teaching me at thre years old! My mom really taught me the most. I love the inner smile that finds its way out when I read your posts. I always have to read your newsletters first, knowing I will enjoy them! Thank you for allowing us to share a little of each of you. I started making my own clothes in junior high school. Over the past 50 years I have made about everything. I now teach my granddaughters sewing and they are starting on basic quilts. The pattern would be great for their beginning quilting. I began to sew in Jr High Home Ec & I continue to sew because I enjoy seeing. I sew for my 3yr old granddaughter & for my daughter. She says she gets compliments when she wears mama made, & the clothes fit well. Things this mama enjoys hearing! My mother sewed all the time making things for me and my sister. So when I was big enough to reach the peddle on her treadle machine, I asked her if I could sew. She helped me to make an apron for my aunt. I loved it and have been sewing ever since. I mostly made garments until about 30 years ago, then I got into quilt making. I have been hooked ever since. Thank you for the chance. I follow on Instagram, Facebook, and Bloglovin. I always had the desire to sew but I never had the opportunity to learn until I was a new mother and wanted to make EVERYTHING for my new baby! I took a night class at the local high school and the rest is history! I’ve been sewing for over 30 years. I mostly love to make quilts and bags. I love sewing for my girls! There is nothing better than a new book on quilting! I look forward to reading your book! I love your blog and justed started following you on facebook. My mother was an excellent seamstress and made many of the clothes my sister and I wore. She taught me to sew garments as well. Quilting I discovered on my own after I was married and had children. I am still learning! Tuanks for the book giveaway! My mother taught me how to sew when I was a teenager (many years ago :-P) and introduced me to this site last year when I told her I wanted to learn to quilt. I have enjoyed reading your posts and even used one of this years’ blocks of the month to sew my first quilt a few of months ago! I follow you on both facebook and instagram. I started sewing because my mom did and I wanted to be just like her. She wouldn’t teach me; she said she wanted me to “learn the right way” so I took Home Ec in junior high. I continue to sew because it brings me joy and lets me be creative. I also get clothes that fit me in colors and fabrics that I love! I follow you on Facebook! So happy that Nacho Thursday is coming back, but Project Runway is on at the same time and I just can’t miss it! My granny started teaching me to sew doll clothes when I was around 10 yrs old. She could look at anything and cut the pattern from a brown paper bag or straight from material. She passed away Christmas my 8th grade yr (1975). From there my mom continued to help me. I follow you on FaceBook. I am a self taught seamstress. I was 13 and begged my mom to teach me how to sew. She tried to discourage me and told me plenty of times that I would break her machine. I finally chose to disobey and started playing with scraps and her machine. She finally took me to the fabric store and 21 years later, I am still in love! My mother taught me embroidery and cross stitching, I self taught me sewing machine. I continue to sew because it fills my days, I feel empty if one day I don´t sew anything, by hand or by machine. My sewing teacher in junior high had her favorite students who got extra attention I was not one of them. I began seriously sewing in my 30s because I couldn’t find what I wanted in stores. My best teachers were the ones who taught my industrial techniques. I continue to sew because it gives me great satisfaction to create items of beauty. My mother taught me how to sew, but I taught myself how to quilt. I don’t do Instagram or Facebook. My junior high sewing teacher paid extra attention to the girls who already knew how to sew, so I learned how to operate a sewing machine but not much more than that. My high school sewing teach was so incompetent that she didn’t even make tenure. Finally a few years later I learned industrial techniques from some fabulous teachers and developed a great love of sewing and later quilting. I started seriously sewing because I couldn’t find what I wanted in stores. I continue to sew because it provides a wonderful outlet for creativity and and great satisfaction in the finished products. I learned some sewing from my mom and also learned in school back in the days when all girls took Home Ec. I have learned the most from my MIL who was a Home Ec major in college back in the days when they had that. I don’t know if that’s even a college major any more. Anyway, I keep sewing because the thrill of being able to make a beautiful quilt or other handmade item is fabulous. And I love being able to make gifts. My sister would like to learn to quilt and your book looks like something I could share with her. My first sewing took place in 4-H, but my mom is the one who taught me as I branched out to sewing garments and was the one I went to for help. What a beautiful book! Thank you for the giveaway. I follow you on Facebook. I usually forget about Nacho Thursdays, but they are fun when I remember to join in. I also follow on IG. Do I sound like a groupie, or what? Grandma, then self taught. Would love to win your book! I was taught the basics of sewing by two of my Aunts when I was young. But as I grew up, I lost/forgot most so now I am trying to teach myself. I want to learn quilting to make my growing kids memory quilts & as the grow to continue to make quilts for when/what they want & need. Congratulations on your book release. I look forward to see how helpful this one is for me. Thank you for the chance. I took sewing in High School and didn’t like it. My sister made my graduation clothes. When I got married, my husband bought me a Bernina Sewing Machine and I attempted to sew my kids clothes and I even made a cabbage patch doll. I really didn’t enjoy it. My kids wouldn’t wear their homemade clothes and so I put my sewing machine away and didn’t use it only to mend clothes for years. Then after I retired, a lady asked me if I sewed and if I wanted to learn how to make a quilt as you go table runner. I really wasn’t sure, but I went to a ladies house and tried it. It was so much fun that I kept going and started making quilts, and I am still going. I then made your skirt and loved it. I even bought a serger and am making things on that. I am now addicted to sewing quilts. My husband even hand quilts some of the quilts that I make. A lady at my church taught a quilting class and I learned the basics and made my first log cabin quilt. I made a second one for my husband for our first Christmas. But I really got serious about it when I went into “nesting mode” with my first baby. I’ve now made 25 quilts in the last three years, not including baby quits or minis. I love making quilts so much, I feel like it’s more than a hobby. I’m so glad I took that log cabin class! I’m teaching myself how to quilt and learning a lot of things NOT to do, but I’m loving it! I follow on Instagram and like you on Facebook! My grandmother taught me to sew. She also made clothes for my Ginny doll that matched the clothes she made for me – now that I am 72, a few of them are in my granddaughters play box. I even hand stitched some clothes until my mother bought me a Singer 301 when I was in 7th grade. I follow you on Instagram, as @susansquiltstudio. If I won the book, I would share it with my daughter-in-law, who is a new quilter. I have always wanted to learn to sew, and now when I found out I had a little one on the way, it motivated me to get started! I read a lot of books and watch a lot of videos to teach myself. Way too fun! I also follow you on both Facebook and IG! I come from a long line of quilters. 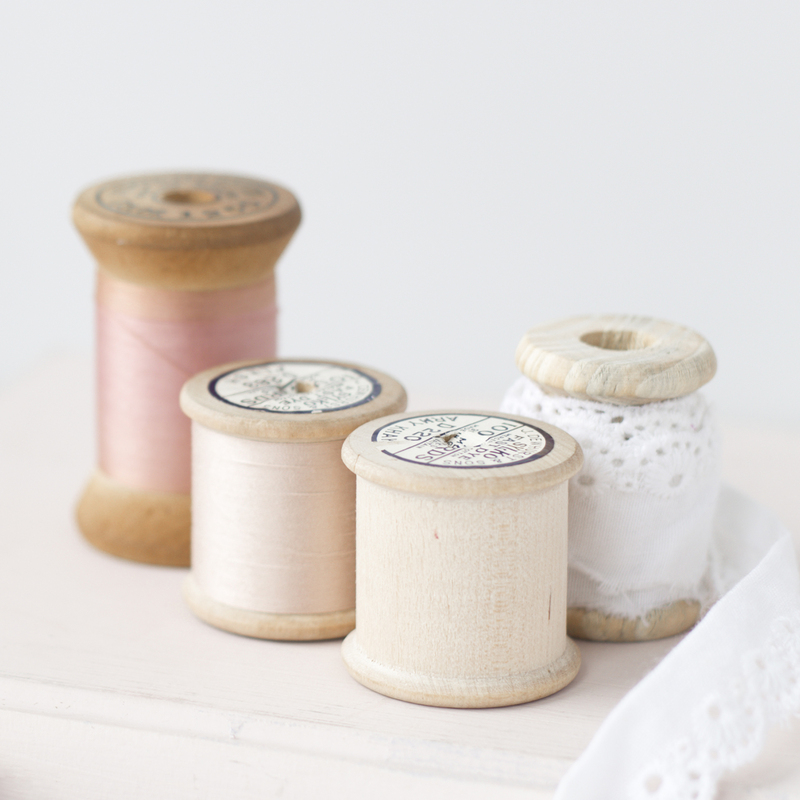 I remember, as a little girl, falling asleep listening to my Mother sew and visiting my great Grandmother and being so fascinated with her treadle sewing machine. The quilt tops she pieced on it are a treasure to me. My mother and I are still in two quilt groups together! I love that it links the generations. I learned basic sewing in middle school’s during Home Ec. It would take many many many years later to sew again. I started learning on my own how to sew different kinds of clothing. When my last baby was born, I took a beginning quilting class and started doing things on my own from there and it has been a wonderful journey. I follow you on both IG and FB. I learned to sew in Home Ec. in the 7th grade. Mom was a great help also. After too many years away, I returned to sewing when I retired 8.5 years ago. Sorry I was away from it for so long. It now takes up any free time I have and I enjoy it to the max! My other taught me how to sew. She was amazing. I remember when I was in college one day she sent me a letter (it was before cell phones!) and asked for my waist measurement and how many inches long I wanted it. A week or so later a box arrived at my dorm filled with skirts! My roommate was astounded! I’m so glad I learned from her–I sewed clothes for children when they were little, crib bedding, window treatments….now that my family is grown I have been learning to quilt….and since I just started a few months ago I need supplies! I hope I win! I just joined Facebook and have followed you both for a long time already on Instagram. I loved making a skirt with you, I wear it often. My love for sewing started young. At 10 years old I made my first pair of shorts all. by. myself!! I learned to sew as a child and soon surpassed my mother’s experience when I insisted on sewing pants with a zipper! I started to quilt when my first son was born. I would then be working part time, instead of full time, and thought I would have time for such a pursuit. Ha!!!! But luckily I was bitten by the quilting bug and have had a blast since! 20+ years later, still my favorite thing to do when I find the time. My great grandmother taught me basic stitches. I learned more by taking two years of home ec in middle school. After having kids, the only beginner sewing classes I could find close to me were quilting classes- so I signed up and learned a ton. I sew because I love putting things together. It’s very therapeutic for me. I sew because it’s personal. What I make will never be exactly like someone else makes it. I learned to quilt when my 13 year old daughter expressed an interest in learning. We went a “quilt camp” in Long Lake, NY and met a lovely and lively teacher, well into her 70’s”, named Lois. Lois took us step by step through each step and we made a small charm square quilt. We were so pleased with ourselves. We went to camp again the following year and Lois taught us “stack, whack, and shuffle”. The next year Lois passed away. We were heartbroken over our loss. There is not a day that I quilt that I do no think of Lois. A quilter, teacher, and an abundance of patience. My husbands mom and grandma taught me how to sew and I am eternally grateful for that! 20 years later I am more in love with it than ever and am now dreaming up a private lesson business so I can pass this love on to others! I feel a resurgence for a love of handmade goods and talents! When I was 12 I went to clean ceiling fans for a neighbor of mine. As soon as I finished she took me downstairs, showed me her amazing fabric stash, and immediately started me on my first quilt. She saw me through every step: designing, choosing fabric, piecing, tying, hand quilting, and binding. I’m forever grateful for her time and patience. She has continued to be my quilting mentor and a dear friend. Wish you’d been around when my kids were little – I love your work. Now that they are all in college, I’m too busy to sew, but I’m hoping to use your patterns for grandchildren down the road. I learned to sew from my mom and the rest I picked up from youtube and bloggers. I love to sew and to see what useful things I can create with my own two hands. I learned to sew in 8th grade Home Ec. I made a peasant blouse, blue and white dotted Swiss that had little red flowers embroidered on it. Loved wearing it. Thank you. My grandma taught me along with sewing in 4-H. I love to sew because it is so satisfying to take a piece of fabric and make it into something beautiful! I tried to learn to sew in 7th grade home ec, but it was a fail. Years later when I had little girls, my mother-in-law suggested I try again because there would be many things I could sew for them. So I borrowed a machine and made 2 toddler dresses, after which I was hooked and had to buy a sewing machine! I sewed clothes for my girls right through college and have made clothing for myself as well as home decor and many handmade gifts. And I’m following you on Instagram. I always had a love for making things. I gave my middle schools friends clothing items made from my own clothes to fit them-they were hideous! Lol I continued to make things as years went by but one day in my 30’s I came across some fabric. I was at a discount store and they had some cool fabric for sale. I thought I could totally make something cool. I read the back and it gave instructions on how to make a small quilt. I thought…what’s a quilt? I kid you not! I looked online at some tutorials and I was hooked! Soon as I started making gifts for loved ones I knew it’s what I wanted to do to pass the time. It’s my quiet time, it’s my creative time, it’s what I do for myself and my sanity! I also follow you on Facebook and instagram! I continue to quilt and knit as I feel that is my art outlet. I can also make things and gift them to those I love and to myself! I feel I am very lucky to have learned these skills and been able to teach these to other people.